What do reviews reveal about your community’s reputation? Once upon a time, senior living’s luxury amenities and spacious floor plans were enough to lure curious prospects in for a tour. Today, it takes more than glossy brochures and well-placed ads to close the deal. Prospects are turning to the internet, sweeping up online reviews to narrow down their senior living search options. What will they find when they search your community online? Negative feedback can be frustrating. But the right response has the potential to turn an unhappy prospect into your new resident. Don’t let unfavorable reviews ruin your reputation. Turn the tide with these tips. Hiding or deleting negative comments can be tempting – but don’t do it. Removing legitimate concerns without first addressing them only makes matters worse. Instead, affirm your community’s commitment to excellence, and invite the reviewer to take the conversation offline for further discussion. People leave reviews, good or bad, because they expect some sort of acknowledgment. Whether you feel negative feedback is warranted or not, responding in a timely manner is crucial. Answer all reviews within 24-hours, and show you take all concerns seriously and will work quickly to resolve them. 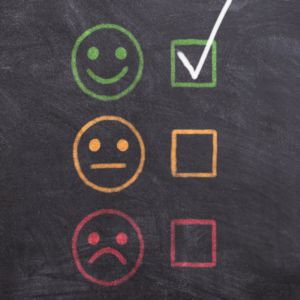 Sometimes, after a public disagreement has been settled privately, the person who made the initial complaint may update their online review to share positive outcomes. But don’t plan on it. Take matters into your own hands and respond with an update to the original review, thanking the reviewer for allowing your team an opportunity to address their concerns. Read the full McKnight’s Senior Living guest feature for more on how to handle negative reviews. Ready to reassess your Reputation Management Strategy? Fill out the form below for immediate access.